At an official event in China, Chinese Xiaomi has announced the much awaited Xiaomi Mi A2 and Mi A2 Lite smartphones powered by Android One out of the box. These are the successors of the Mi A series smartphone Xiaomi Mi A2 that was announced last year with Android One. The Xiaomi Mi A2 comes with a bigger 5.99-inch display where as the Lite variant comes with a slightly smaller 5.84-inch display. Both comes with dual rear camera and runs on the Android 8.1 Android One out of the box. 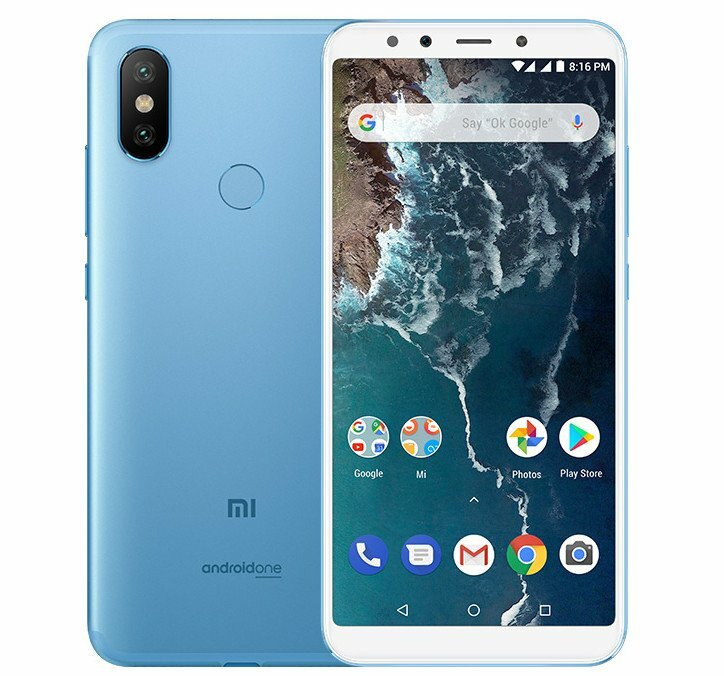 The Xiaomi Mi A2 is priced at 249 Euros (around $291) for the 4GB RAM + 32GB inbuilt storage variant, for 64GB inbuilt storage variant, you have to pay 279 Euros (around $326) while the buyers have to pay 349 Euros (around $408) for the top-end 6GB RAM with 128GB internal storage variant. The Xiaomi Mi A2 Lite, on the other hand, is priced at 179 Euros (around $209) for the 3GB RAM + 32GB inbuilt storage variant while the 4GB RAM + 64GB inbuilt storage variant is priced at 229 Euros (around $268). The Xiaomi Mi A2 comes with Blue, Gold and Black color options whereas the Mi A2 Lite comes with Black, Blue and Gold color options. Both the devices will be available for sale starting from Spain from August 10th, in France from July 27th, in Italy from August 8th and soon in more than 40 countries including India, however, the Mi A2 lite won't be available in some countries. The Xiaomi Mi A2 features a 5.99-inch Full HD+ 2.5D curved glass display with 1500:1 Contrast ratio and 2160×1080 pixels resolution. It is powered by a octa-core Snapdragon 660 14nm Mobile Platform (Quad 2.2GHz Kryo 260 + Quad 1.8GHz Kryo 260 CPUs) with Adreno 512 GPU. It comes with multiple variants including 4GB LPDDR4x RAM + 32GB / 64GB (eMMC 5.1) inbuilt storage and 6GB LPDDR4x RAM with 128GB (eMMC 5.1) inbuilt storage. It comes with Android 8.1 (Oreo) out of the box with Android One and will receive the Android P update as soon as its available and comes with Dual SIM option as well. It features a dual rear camera with a 12-megapixel rear camera with LED flash, f/1.75 aperture, Sony IMX486 sensor, 1.25μm pixel size and has a 20-megapixel secondary camera with Sony IMX376 sensor with f/1.75 aperture, 4 in 1 – 2.0um pixels. It has a 20-megapixel front-facing camera with Sony IMX376 sensor, 4 in 1 – 2.0um pixels soft LED flash. It has a 3010mAh battery and supports dual 4G VoLTE, Wi-Fi 802.11 ac (2.4GHz / 5GHz), Bluetooth 5 LE, GPS + GLONASS, USB Type-C connectivity options. It has a fingerprint sensor on the rear side and has a infrared sensor as well. It measures 158.7×75.4×7.3mm and weights 168 grams. 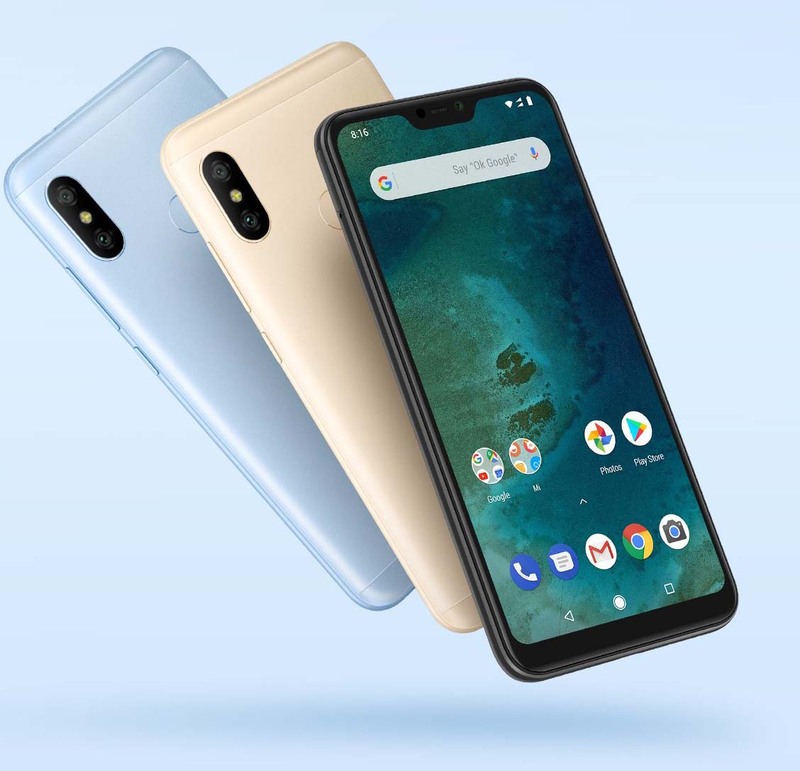 The Xiaomi Mi A2 Lite features a 5.84-inch Full HD+ 19:9 2.5D curved glass display with 500 nits brightness, 1500:1 contrast ratio, 84% NTSC Color Gamut and 2280×1080 pixels resolution. It is powered by a 2GHz octa-core Snapdragon 625 14nm Mobile Platform with Adreno 506 GPU. It comes with 3GB RAM + 32GB inbuilt storage, 4GB RAM with 64GB storage and supports expandable storage up to 256GB with microSD card. It runs on the Android 8.1 (Oreo) out of the box with Android One and will receive the Android P update as soon as its available. It also comes with Dual SIMs. It also features a dual rear camera with a 12-megapixel rear camera with LED Flash, Sony IMX486 sensor, 1.25um pixel size, PDAF, f/2.2 aperture along with a secondary 5-megapixel camera with Samsung S5K5E8 sensor, 1.12um pixel size, f/2.2 aperture along with a 5-megapixel front-facing camera as well. It is backed up by a 4000mAh battery and comes with 4G VoLTE, Wi-Fi 802.11 a/b/g/n, Bluetooth 4.2, GPS + GLONASS, 3.5mm audio jack connectivity options and has a fingerprint sensor and an infrared sensor as well. It measures 149.33×71.68×8.75mm and weights 178 grams.